Previous PostPrevious 1179. Management of penetrating chest trauma with asymptomatic patient and normal chest xray // Indications for chest tube // Placement and direction of chest tube // Indications for suction; how much suction? Next PostNext 1181. 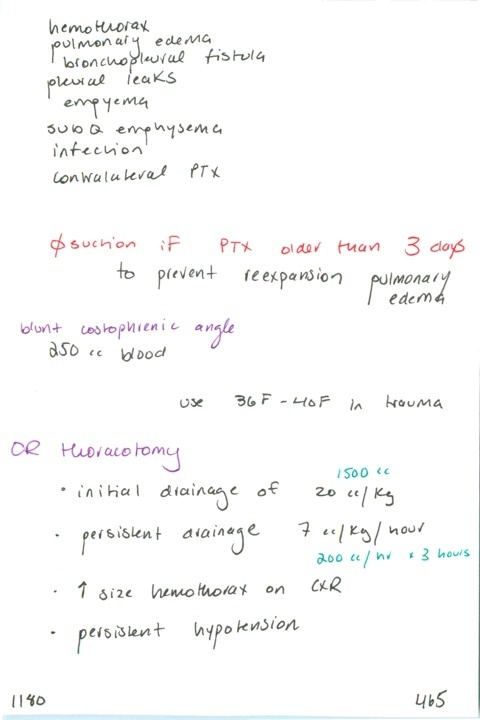 Indications for ER thoracotomy // Should all hemothoraces be drained?